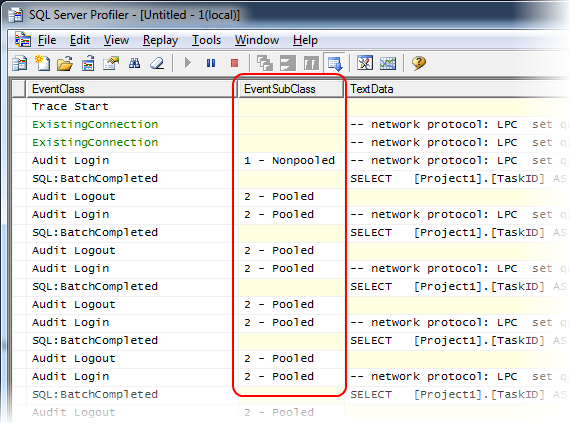 Is SQL Server Profiler showing Connection Pooling not working? 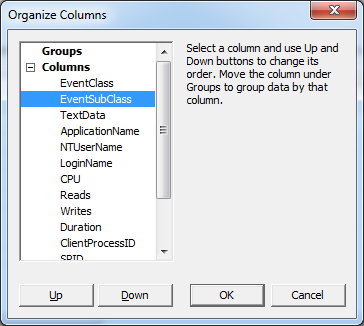 TL;DR: No – it’s just SQL Profiler not telling you the entire truth. The same thing happens without EF using basic SqlCommand queries. To tell you the truth I’d noticed this a while ago but hadn’t got round to investigating. Rather than assume that connection pooling was broken on my machine, I had a hunch that SQL Profiler was somewhat misrepresenting what was really going on. 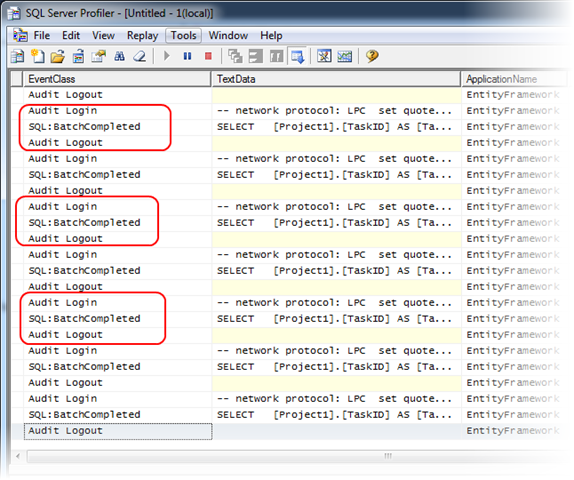 Indeed Markus Erickson on StackOverflow mentions the EventSubClass column you can add to SQL Profiler’s output to see if those Audit Logon/Logout events are actually connections being pulled from the pool or fresh connections. 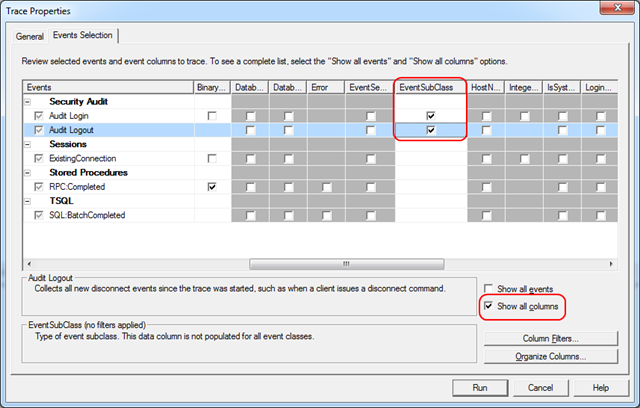 Go to the Trace Properties window and switch to the Events Selection tab. Now you can re-run your trace and hopefully be reassured that connection pooling after all is functioning correctly! Great tip! I never could explain that either. I don’t completely agree with you or I might not get what you tried to describe. If these audit events are nothing to be worried about and they are just representing the “going in” and “going out” from the connection pool on the client side. Then the question is how the server knows about what’s happening on the client’s space? What I think it is real login/logouts that are happening on a physical connection.